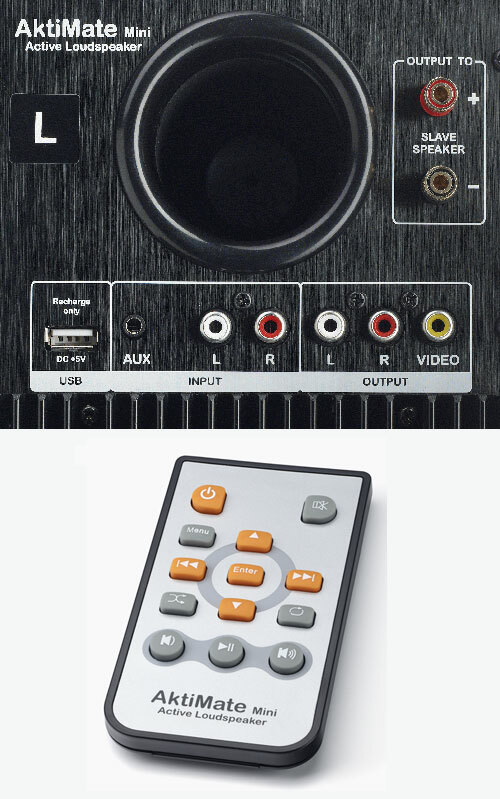 Earlier this year I decided I was sick of the low quality of my cheap PC speakers when listening to podcasts and digital radio broadcasts as well as the weak sound from my TV speakers when watching digital TV, DVDs and Blurays. HiFi Speakers are an area where my technology journalist knowledge is weak so I asked some friends who are audio specialists and both surprised me by recommending the Epoz Aktimate Mini Active Stereo HiFi iPod/MP3 Player Speakers. To be honest I hadn’t heard of Epoz before but it turned out that they’re an Australian company who make very well respected speakers. I don’t own an iPod because I use my Android phone as an MP3 player but luckily Epoz have designed for that. All I do is connect my Android phone to the Aktimate Mini AUX input and it’s charger cable to the handy USB charging port at the back of the speakers so it doesn’t go flat if I use it for a few hours. Don’t be fooled into thinking the Aktimate Mini speakers are overpriced like I initially was because of their description as an iPod dock. For one thing they are far better built than your average iPod dock and while iPod integration is certainly a feature of the speakers it’s not the defining point because these speakers are perfect for what I need: playing high quality audio from podcasts, MP3’s, digital radio, DVD/Bluray movies/TV shows while only being 30cm high so they don’t take up lots of space in my apartment. The quoted prices for the Aktimate Mini at different shops varies wildly between $500 to over $800, have a good look around and do plenty of Google searches and you’ll be able to find a price close to the lower end. 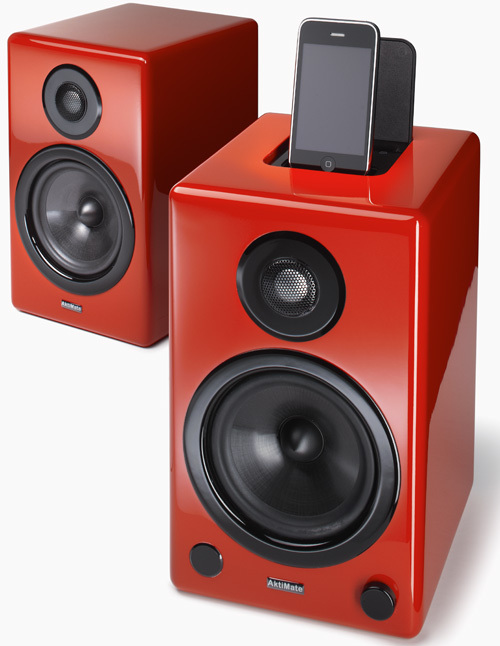 I chose glossy red for my speakers but they also come in glossy black or white at the same price. Active bookshelf speakers: because one speaker is active and the other a slave you don’t need an amplifier. Consider the youth of today heading off to college. Computer, iPod, AktiMates, and they’re done. Consider the cluttered office with no room to shelve a whole hi-fi system – iPod, AktiMates, and you’re done. And you can’t even call them a small-room solution – they’re powerful enough to pump party levels in a fairly large space (here perhaps the subwoofer option might add useful support). We enjoyed them best at near-field distance, either side of our computer. We are lost to find a criticism here – only that the dock looks a tiny bit silly sticking out of such a nicely-finished speaker, and that certain remote-control combinations caused our iPod nano to reboot. But for this performance we’re happy to get used to that. This is simply a blinder of a product. The AktiMate Mini is a well-built and attractive stereo iPod dock. If you like to hear intricate details in your music and don’t much care for bombast then the Mini is one of the best sounding docks for the price. Add a decent subwoofer, give it some room and it will also double as a decent “party box” as well. Hi there, Im just wondering if these speakers would be loud enough to pump out music for a room 6mx4m?